I have very fond memories of Labdhi because of two encounters I had with him. He eluded me in one instance and I managed to get him in the other instance. Years later, in 1988, I was the Director of HR in Cadbury's India, reporting to my Managing Director. We were having marketing problems with some of our products, largely in the drinks area. We wanted to boost that part up and we also wanted to look at how we could introduce some new products that we had recently developed, but not yet branded. So between the Marketing Director, myself and the Managing Director we decided that we needed a consultant for marketing. The first name that came to my mind was Labdhi, because I had been after him for a long time. And therefore I spoke to him. I decided to pull his leg a bit by reminding of the time when he eluded me. I told him, 'Look you turned up your nose to industrial products and escaped me once. 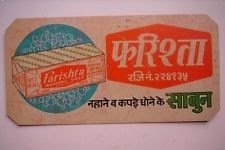 But we are an equally placed FMCG now, so don't say no! ', and we both had a hearty laugh. I was responsible for bringing him over, introducing him and then marketing took over. Vinita Bali, who was the General Manager - Marketing and was leading the project for Cadbury would have been the person he interacted with the most. But, I think, in total, we just had a total of one or two meetings for pinpointing the problem we wanted his help with. Unfortunately, his untimely death meant that he did not get to do anything more with Cadbury. *Aroon Joshi is an HR professional with a long career spanning over 48 years. He was formerly the Director of HR at Cadbury's India.